Hunting farm ""Zaozernoe"" surrounded by several lakes. Hence the name. 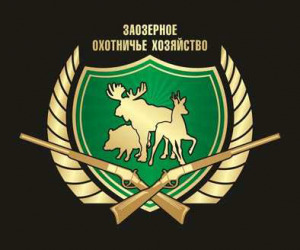 And it shares borders with two wildlife sanctuaries : North – reserve forest Belozersky zakaznik, and in the West - Vargashinskiy. This area of pristine nature attracts wild animals, especially elks, hunting which has always been considered an elite. And such hunting trophies today are worth their weight in gold. Hunting farm ""Zaozernoe"" surrounded by several lakes. Hence the name. And it shares borders with two wildlife sanctuaries : North – reserve forest Belozersky zakaznik, and in the West - Vargashinskiy. This area of pristine nature attracts wild animals, especially elks, hunting which has always been considered an elite. And such hunting trophies today are worth their weight in gold. It's easy to come to Zaozernoe. From the Mound towards Vargash on the Federal highway ""Irtysh"", then to the village – Bridge. Only 80 kilometers. The area of the economy is small, 26.5 thousand hectares, but it is worth it. Wednet nothing better habitat for the moose or deer impenetrable and marshy forest. Roadways in the hunting farm ""Zaozerny"" can be counted on the fingers. They cover no more than 25 percent of the total area of the economy. The rest of the space is not mastered. Therefore, hunters can enjoy all the delights of walking hunting. Huntsman ""Zaozernoye"" has calculated that the household lives 115 species of elk, more than 450 species of deer, wild boar 150 individuals, and the population of animals continues to grow. Hunting experts noticed one feature: moose in economy became larger, more well - fed, their coloring-more dark. Often in these parts you can find large elk families. Eleven reasons to come to the hunting farm "" Zaozernoe» 1.Convenient location: right to the house of the huntsman is an asphalt road. 2.Clear organization of hunting: every step is thought out from the beginning to the end. 3.Professional gamekeeper and hardy beaters: hunting is only under the supervision of employees of the hunting ground. 4.The lack of empty pens. 5.Providing reliable transport for the hunting time. 6.Mandatory instruction and full compliance with safety rules. 7. One hundred percent ensuring the result: if necessary, the huntsman can help get the beast. 8. Own veterinary service: it is possible to check on site production for sanitary safety. 9.Special facilities for osvezevanje and butchering of hunted animals. 10.Well-maintained cottage, sauna, Billiards, kitchen and services of a professional chef. 11.Many years of experience, both with Russian and foreign hunters. We speak your language! 10% of the cost of living - when booking, 90% - at the conclusion of the contract, 150 euros per day for the guest, payment of trophies after weighing and signing the Protocol of hunting. Payment in cash and by Bank transfer. In case of cancellation, the booking Deposit is non-refundable.